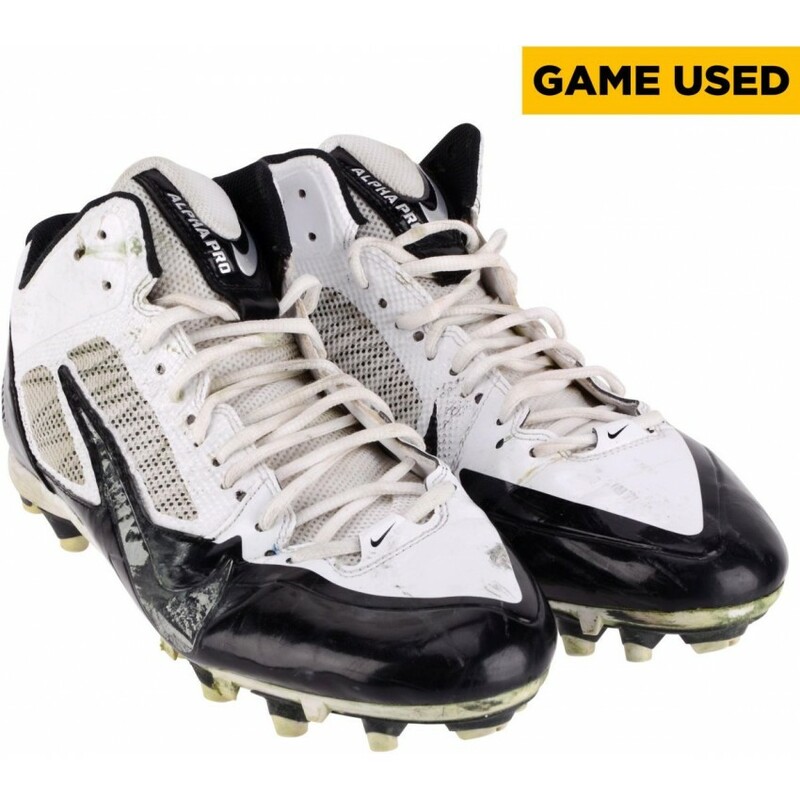 These game-used cleats were worn by Heath Miller during the 2014 NFL season. They are officially licensed by the NFL and comes with an individually-numbered, tamper-evident hologram from Fanatics Authentic. To ensure authenticity, the hologram can be verified online. This process helps to ensure that the product purchased is authentic and eliminates any possibility of duplication or fraud. Each of these collectibles comes designed with three photos and a team logo. This collectible, featu.. The Detroit Lions wall mountable helmet logo display case is made of 1/8'' thick acrylic with a blac..
We're going for 2! Full size helmet and football wall mountable case with Mahogany frame. Choose you.. This Riddell mini helmet has been personally hand-signed by Paul Hornung with the inscription ''HOF .. This 16'' x 20'' photograph has been personally hand-signed by Matt Stafford. It is officially licen.. This nameplate was used by Gerrett Giemont during the 2014 NFL season. It is officially licensed by ..
8.5 x 11 FRAMED (HFP) 1958 MICH ST/MICHIGAN (891130)..
Commemorate Tom Brady winning Super Bowl XLIX MVP with this framed collectible. Each piece comes des..
Imperial is proud to present its premium licensed NFL Director's Chair in Table Height! Enjoy the ga..
Montana Cue Rack in Chardonnay Finish by Holland Bar Stool..
Each collectible comes with a Super Bowl image sublimated onto a black plaque and includes statistic..